This week you can request a mobile coupon for a $5 gift card with $15 yogurt purchase. 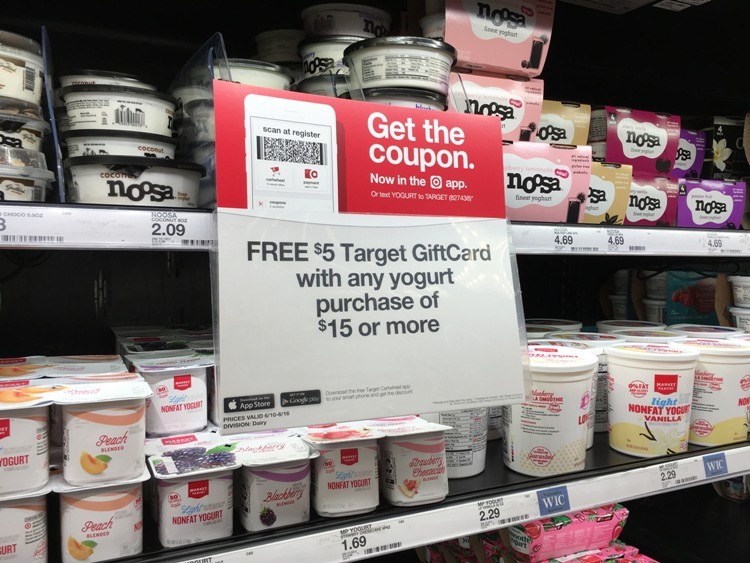 Text YOGURT to 827438 to have this coupon sent straight to your phone, or you can find this in the Target app (click the “barcode” button to find all the coupons). 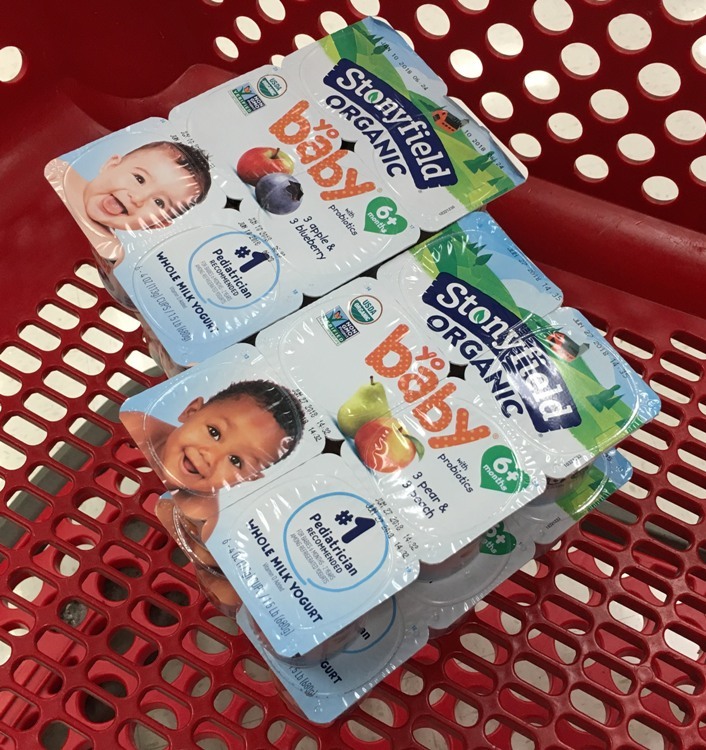 This coupon is available in the Target ad and is good through 6/16. 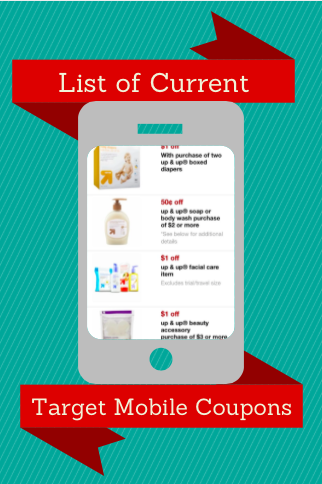 Make sure you check out at Cartwheel for possible offers you can stack.